If you’re thinking of making the switch to using more eco-friendly cleaning products, you probably have one question at the forefront of your mind: Can green cleaning products clean as effectively as their chemical counterparts, especially when it comes to eradicating bacteria? 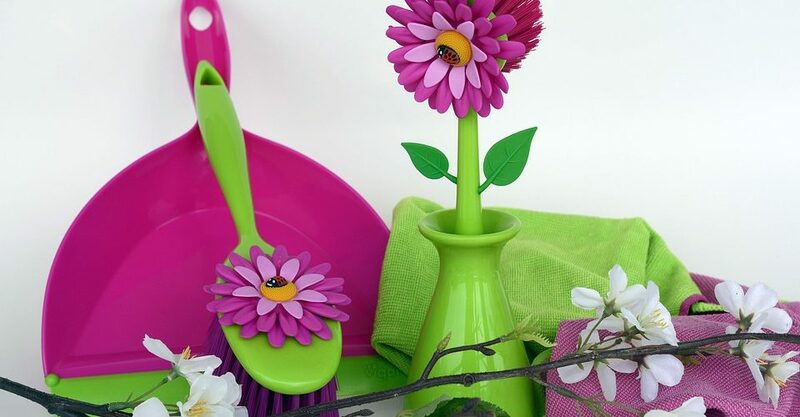 Research shows that yes, green cleaning products can eliminate 99% of germs and bacteria, without leaving any harmful chemical residues behind. A number of biodegradable organic substances, like hydrogen peroxide and lactic acid, are actually excellent antimicrobial agents. Green cleaning products are also less likely to cause damage to porous materials (like carpets) than their abrasive chemical cousins. Still, it’s important to do your homework before you dive headlong into the world of organic cleaning products: Currently, the green cleaning industry isn’t federally regulated, so anyone can legally call their product “green” or “organic,” regardless of what it actually contains. In fact, manufacturers aren’t even legally obligated to list all of the ingredients that are present in their cleaning products. Savvy shoppers therefore need to look for reliable third-party certification to ensure that what they’re buying is actually green. The Environmental Protection Agency (EPA) provides certification through its Design for the Environment (DfE) program, so looking for a DfE label is a good place to start. For a product to qualify for a DfE label, it has to pose no substantial threat to either human health or the environment. Other independent certifying agencies of note include Green Seal and EcoLogo. If you see a product with a label from either of these organizations, you can rest assured that it’s free of toxic chemicals. To make your search for the perfect green cleaning products a bit easier, we’ve compiled a list of some of our favorites. Note, however, that you don’t necessarily have to invest in (sometimes expensive) store-bought products to start transitioning into greener cleaning habits. Some common household staples, like distilled white vinegar, lemon juice, and baking soda, can easily be combined to create organic cleaning solutions. Store-bought products are simply more convenient for the vast majority of people, as they don’t require any mixing or bottling. If there’s one thing every household needs, it’s a good all-purpose cleaner that’s capable of quickly removing stains, ink, and stuck-on gunk. The Better Life Natural All-Purpose Cleaner can handle all of these tasks, without damaging surfaces (including fabrics) or leaving streaks behind. Better still, this plant-based cleaner is completely free of VOCs, toxic surfactants, and petroleum byproducts. Bon Ami powder is also gentle enough for use even on delicate surfaces, like stainless steel and ceramic. It won’t leave scratches behind, even after vigorous scrubbing. There are all-purpose cleaners, and then there’s castile soap: Castile soap is unique in the cleaning world in that it can clean practically everything, from your floor to your hair. Castile soap is made with vegetable oils (usually coconut, olive, and hemp oils) and lye; it’s effective against bacteria and can break down tough grime (like grease) while being gentle and moisturizing when used on hair and skin. As an added benefit, the scent of castile soap acts as an insect repellent. Some people even mist their plants with castile soap and water in order to keep pests away. Most of us find ourselves doing dishes at least once per day, so having a dish soap that’s both inexpensive and safe to use is a must. Ecover Zero Dish Soap, a completely plant-based soap that costs just under $4 per 25 Oz, is capable of tackling stuck-on food without the use of chlorine or other toxic solvents. White vinegar is considered the ideal organic solution for scrubbing hard surfaces, such as floors and counter tops. Not only is white vinegar inexpensive, it’s capable of killing viruses and bacteria on contact, making it the perfect substitute for liquid bleach. Unfortunately, while the pungent odor of vinegar has its uses—it keeps ants and other pests at bay—many humans find it somewhat intolerable, too. White House offers a solution to this problem by providing vinegar that’s been blended with natural lavender or lemon for a more pleasant, fresh scent. White House Cleaning Vinegar is also stronger than standard household vinegar, offering 6% acidity rather than the 4-5% acidity seen in white vinegar intended for human consumption. This means it will cut grease and break down solidified grime more quickly than other vinegar solutions. Those who receive cleaning help from domestic cleaners, either regularly or occasionally, will be happy to know that professional cleaning can also be conducted in an eco-friendly way. Many housecleaners today give their clients the option of choosing to “go green,” and they will usually provide their own certified, tested organic cleaning products. If you’re interested in learning more about professional green cleaning, don’t hesitate to reach out to us. We’ll be happy to help you find the services you need.